Cheap web hosting that is reliable can be hard to come by, but RSHosting aims to make it easy. Our platform is based on high-speed SSD Cloud servers designed and optimised to deliver web content as quickly and securely as possible. Page loading time is an important SEO factor which is becoming more and more significant due to the prevalence of mobile devices with lower bandwidth than traditional desktop systems. The focus is now on mobile-first, so make sure your hosting is up to speed! We run multiple servers in different locations to give you the best web hosting experience, as you can choose where content is stored and delivered from. This enables you to quickly get your website in front of local viewers and can improve your search ranking. Whether you are planning on hosting a personal or hobby website, or are an SME or a start-up business, we can help you get online in the most efficient way possible. Personal and business customers of all sizes are welcome, so if you’re just starting out, rest assured that you and your business will be able to grow with us. We don’t only offer lightning fast cheap web hosting though – we offer top class 24/7 support too, available via email, Skype, and online chat. Our response times are fast, and we always aim to solve any problem you may encounter as quickly as possible. For UK-based customers, our UK web hosting is excellent value. Offering local deployment with UK based servers, your site will be ready for action with the minimum of fuss. At RSHosting, we offer simple blog and CMS hosting plans at affordable prices making it easy and cost-effective to build your presence online. Our budget web hosting plans include numerous extras such as a free website builder, a free SSL certificate, one-click installers for WordPress, Joomla, Drupal, and over 450 other applications. If your website needs it, we’ve probably got it. RSHosting has many years of experience in all kinds of web hosting, so if there is a particular feature or service you need, we’ll be able to provide it. We have hundreds of happy and satisfied customers from all over the world, and we want to add you to that number. RSHosting is consistently reviewed as one of the best web hosting companies around, so let us provide you with cheap web hosting, or rather, top class web hosting that doesn’t cost the earth. Cheap Web Hosting for blog websites, hobby or information websites or any website with low visitors. Best UK Web Hosting for SME or Startup Business websites such as with medium number of visitors per month. Affordable Cheap Web Hosting services for medium size business websites expecting high visitors. Best Web Hosting for SME or Startup Business websites such as with medium number of visitors per month. Affordable Web Hosting services for medium size business websites expecting high visitors. 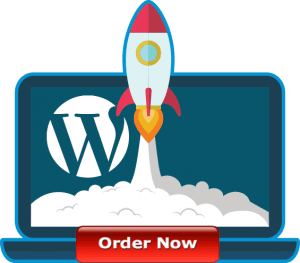 Why choose RShosting's Cheap Web Hosting plans for your website? What are shared hosting server specifications? 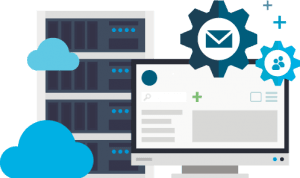 RShosting offers cheap yet reliable web hosting on Cloud clustered servers, giving an immense performance and uptime advantage over traditional dedicated servers. We have our own private cloud servers with SSD storage configured in RAID10. This allows us to offer guaranteed 99.9% uptime with high speed website loading time. Our shared hosting cloud servers are powered with CloudLinus and LiteSpeed web server, which will accelerate your website loading time and performance. We are so very confident about our quality of web hosting services and support, that we offer un-conditional, no questions asked 30 day money back guarantee with our web hosting plans. Are your servers DDoS protected? Yes, our servers are DDoS protected. Additionally, we offer free CloudFlare which is a great application when it comes to protect your website from DDoS attacks. Do you offer Unlimited Disk Space and Unlimited Bandwidth? With our advanced storage and Cloud clusters, we intend to offer as much storage and bandwidth that you may need for your website. However, we have a few limitations when it comes to using our disk space that comes allocated with your web hosting plans. These limits are to protect the server as a whole as well as you from other customers and vice versa. Please visit our Terms Of Services to view our unlimited disk space policy. Do you help with migrating my websites? We offer free website migrations for your websites from your old hosting provider over to us. We offer this service as a complimentary service and do not take any responsibility or guarantee to retrieve 100% data from your old hosting provider during the process. Websites hosted on RShosting servers not only experience an incredible uptime but also ultra-fast browsing speed with quick loading times. Choice of UK and USA servers, give SEO benefit for our customer websites, with high rankings in search engines. At RSHosting, we have embraced advanced Cloud technology, that allow us to offer cheap web hosting prices but with incredible quality. At RSHosting, our mission is very simple – to provide fast, reliable, secure and cheap web hosting services, backed up by friendly and helpful technical support. With years of experience and chosen infrastructure, at RSHosting we offer robust, reliable Cloud SSD web hosting that offer scalable on demand resources for your websites. 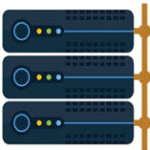 Our budget web hosting services are designed on Cloud clusters to offer your websites an incredible uptime and on demand resources for future scalability, with the best data security available. Do not have enough technical or Linux knowledge? No worries as you can now manage your entire website with the help of the most popular web hosting control panel – cPanel. You can now perform tasks such as creating / delete email accounts, databases, view account usage, view account statistics and visitors etc with the help of just a few clicks, by logging to cPanel. Wish to get a feel of cPanel before you order your services with us?